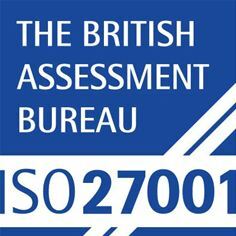 Thoughtonomy is delighted to announce that it has achieved certification to the International Organisation for Standardization’s ISO 27001:2013 standard. ISO 27001 is a globally recognised certification that provides verification an organization is committed to the protection of assets and information governance. This externally audited certification analyses the business and demonstrates the implementation of data security management processes and controls to keep information secure. As part of the certification organisations also commit to, and are assessed against, a continual program of review, validation, and improvement. Since its conception, Thoughtonomy has been focused on ensuring information security and data protection are treated as a priority within both the architecture and governance of the Virtual Workforce platform, and its business and support methodologies. The achievement of ISO 27001 Certification serves to validate and demonstrate to its customers the rigorous measures taken to protect information assets within the business. The ISO/IEC 27000 family of standards helps organizations keep information assets secure. Using this family of standards helps organizations manage the security of financial information, intellectual property, employee details and information entrusted to them by third parties. ISO/IEC 27001:2013 provides requirements for an information security management system, which is a systematic approach to managing sensitive information so that it remains secure, and covers people and processes as well as IT systems and applications. The Thoughtonomy Virtual Workforce® is an as-a-service automation platform. It uses software to replicate the interactions of people and technology to automate a wide range of operational and support processes quickly, cost effectively and reliably. Deployed non-disruptively, it requires no replacement of systems, deployment of agents, software development or system integration. Headquartered in London, UK, Thoughtonomy work with leading service providers, integrators, outsourcers and enterprise clients globally to realise the enormous potential of virtual workers as part of a delivery organisation.